It has long been accepted that dinosaurs led tough lives. A new study by University of Manchester scientists in collaboration with international colleagues, has revealed just how tough the Dinosauria were. An analysis of a toe bone from a 150 million year old meat-eating dinosaur is helping scientists to identify chemical markers of elements that show where bone healing took place. Identifying such chemical markers could help with the development of strategies to assist in the healing and recovery rates when it comes to injuries in other species, including our own. The fossil record of vertebrates records many instances of disease, injury or other trauma in the bones. 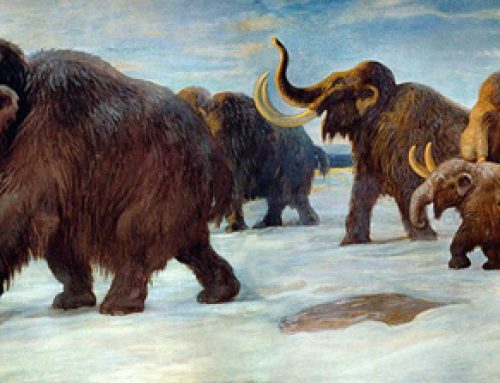 This is known as pathology and interpreting this pathology permits palaeontologists to gain an insight into the lives and behaviours of long extinct animals. At Everything Dinosaur, we have a number of pedal phalanges (toe bones) of the dinosaur known as Edmontosaurus (E. regalis) that show signs of arthritis. Its seems that the Dinosauria suffered from conditions which are very familiar to us. Other fossil specimens show more dramatic signs of injury, such as another duck-billed dinosaur, whose skeleton reveals evidence of a potential attack from a carnivorous dinosaur – a duck-billed dinosaur with a chunk bitten out of its tail. Museum exhibit may show evidence of T. rex attack. Some dinosaurs seem to have recovered from injuries that would have proved fatal to us. It might be a generalisation, but reptiles do seem to be tougher than a lot of mammal species. Team members have looked at Alligators (A. mississippiensis) that have suffered terrible injuries either in fights with larger Alligators or in collisions with boats. So long as the animal is able to feed, then missing limbs, lumps out of tails and severely broken bones do not necessarily prove terminal. The accepted approach to studying the pathology present in the bones of dead animals was to examine the shape of the distorted bone and to take very thin slices from the section of bone under analysis and study its composition and structure. This is a destructive technique that yields some data, it relies on the fundamental structure of the bone remaining intact to show signs of healing, regrowth and recovery despite permineralisation. However, it is known that if a chemical analysis could be undertaken then much more information could be obtained. Different elements and different concentrations of those elements are known to be absorbed and utilised by bone for different physiological purposes such as growth and recovery from traumatic injury. The problem is, detecting these minute chemical signatures is beyond the capabilities of most laboratory equipment, even sophisticated analytical techniques involving scanning electron microscopy. Step in to the spotlight (no pun intended as light is very much involved), synchrotron rapid scanning-X-ray fluorescence, otherwise known as SRS-XRF. A synchrotron light source is made up from electromagnetic radiation that is emitted when charged particles moving at close to the speed of light are forced to change direction by a magnetic field. When a specimen is bombarded with these high energy X-rays, their diffusion can be used to map minute quantities of individual elements. Sophisticated software interprets the resulting data and a picture can be built up to show the density and location of individual elements within the sample. In this study, the toe bone of a Late Jurassic Theropod dinosaur (Allosaurus fragilis) was analysed. A damaged bone from an extant Archosaur, a Turkey Vulture (Cathartes aura) was used to provide a comparison. Bones are complex structures made up fibrous collagen and an inorganic material combining calcium, phosphorous and other material. Bone can absorb a very wide range of elements and traces of these elements are recorded at elevated levels in those parts of the bone where repair or extension is taking place. These “sink sites”, as one of our colleagues calls them, can indicate where bones have been broken and mended during a vertebrate’s lifetime. The histology of bones (growth rate) is dependent on a number of factors such as the amount of food available to the animal, its metabolism and its immune response. SRF-XRF helps to show how dinosaurs recovered from injury. The picture above shows a thin section of A. fragilis fossil bone. The bone is part of a collection from the Utah Museum of Natural History (specimen number UMNH 6282), it is from the third toe. It was studied as there are two areas of obvious damage on the fossil, one on the top part of the section (major callus), with a second sign of trauma underneath (minor callus). The Turkey Vulture bone was chosen as it too shows similar deformities. Pictures a-c reveal the section under plain polarised light, a large crack can be observed in the bone. This is not evidence of further pathology, the damage to the bone occurred after the dinosaur died. Pictures d to f show a grayscale elemental map of the deposition of iron throughout the specimen. Pictures labelled b, c, e and f are blown up images of areas of greatest interest. In figures d, e and f, white shows a high concentration of the element being analysed, black colouration shows a lower concentration of the element. In figures a and c the boundary between damaged tissue and normal tissue is indicated by a solid black line. In figures d and e this boundary is marked by a red line. Traces of different elements were mapped including iron, zinc, lanthanum and strontium. The levels of these elements and where they were situated indicates where healing and recovery from damage occurred. Determining the presence and concentration of elements with fossil bone. In the illustration above, software has interpreted the SRS-XRF data to show the location and concentrations of key elements involved in bone composition. Phosphorous is concentrated in the original tissue. Calcium is present in a relatively uniform manner in the sample and the Lanthanum is localised, being found mainly in damaged areas. It is from this mineral evidence that scientists can determine how the bones of extinct dinosaurs reacted to trauma and recovered from injuries. Everything Dinosaur acknowledges the contribution of the University of Manchester in the production of this article.